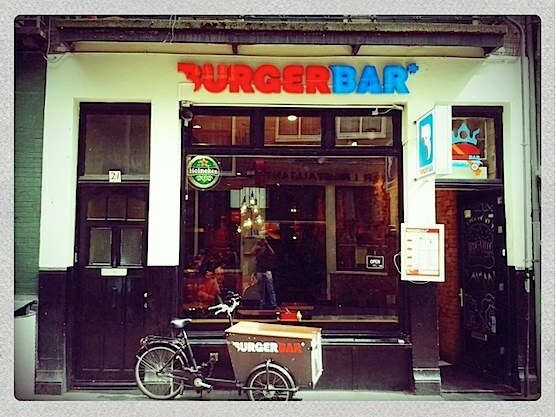 In the middle of the Warmoesstraat, the Burger Bar is located: A slow-food burger chain with already 3 restaurants in Amsterdam! 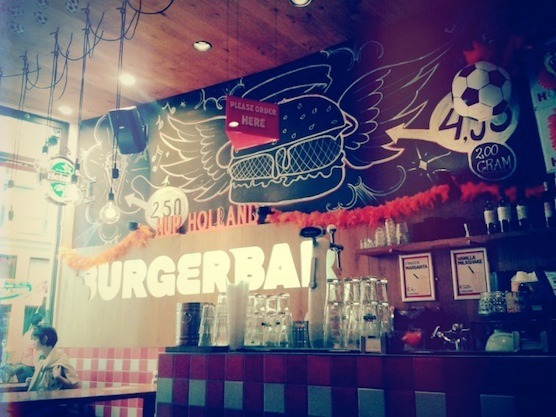 The branch at Warmoesstraat looks pretty cosy compared to standard burger chains, with wooden walls and subtile lighting. Loud music containing of recent pop songs is coming out of the speakers. Not surprisingly, the food at Burger Bar contains of standard burgers, which are served on toasted buns with lettuce, tomato, pickles and burger sauce. For extra money of course, there’s lots extra to choose: 4 different kinds of meat (beef), 2 different sizes and extra toppings like cheese, bacon, egg, jalapeno etc. Other “dishes” are soms sandwiches, fried onion rings and fries. 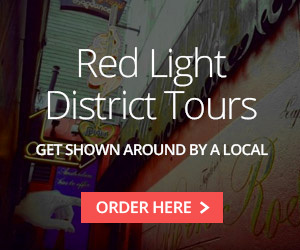 Prices are reasonable. Ordering takes place at the bar, where you get a number so the waitress knows where she has to serve the food when ready. After waiting for about 15 minutes, the taste of the burgers was OK: you can taste it’s not an originally frozen burger from McDonalds and the toppings taste pretty fresh, but the authentic home-made burger taste is missing. Did the cook forget to add some essential spices like salt? Another shortcoming is the bun itself: Although it’s toasted, it’s becoming soaked pretty fast because of the sauce and the juices coming out of the burger. When we were finished, napkins were missing on the table but they were being restocked a few minutes later. The view in Amsterdam’s Burger Bar is not spectacular, but it is quite amusing to watch the people walking by and see all the buzz happening on the Warmoesstraat. 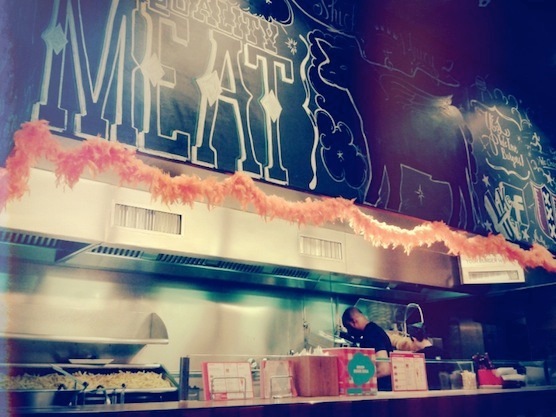 To summarize: When you are in a bit of a hurry and don’t expect too much of a fresh made burger, Burger Bar is absolutely a good option to grab a bite!